Colin McLarty, the Truman P. Handy Professor of Philosophy, has received grants from both the National Science Foundation and the National Endowment for the Humanities for his work on the philosophy of mathematics. Photo by Mike Sands. Case Western Reserve philosopher and mathematician Colin McLarty still remembers the morning of June 24, 1993. He was spending the summer in Cambridge, Mass., and as he strolled across Harvard Yard, a friend called him over to a nearby café and showed him an article on the front page of The New York Times. The headline proclaimed, “At Last, Shout of ‘Eureka!’ in Age-Old Math Mystery.” Fermat’s Last Theorem, the most famous unsolved problem in all of mathematics, had been proven. Like everyone who knows anything about math, McLarty was thrilled: It’s not every day that someone solves a problem that has vexed and tormented mathematicians for more than 350 years. But unlike most people who read the Times article, McLarty started wondering about the proof’s logical foundation. He soon learned that its author, Andrew Wiles, had built the proof on a vast theoretical edifice created by Alexander Grothendieck (1928-2014), a brilliant mathematician and one of McLarty’s intellectual heroes. This meant that the proof rested on, among other things, an exotic mathematical object called a “universe,” which unifies and extends a powerful branch of math called set theory. But Fermat’s Last Theorem itself involves only numbers, not sets; in fact, it’s so simply stated that a schoolchild can understand it: an + bn ≠ cn if a, b, c and n are all whole numbers and n > 2. Invoking sets and universes to prove an arithmetic theorem struck McLarty as excessive. “It’s slaughtering a fly with a cannon,” he says. Achieving such a step on such a hard problem is impressive. It’s all the more impressive that McLarty achieved it, because he spends only part of his time actually doing math. He also publishes widely on the history and philosophy of math, and he is writing biographies of influential 20th-century mathematicians, including Grothendieck. 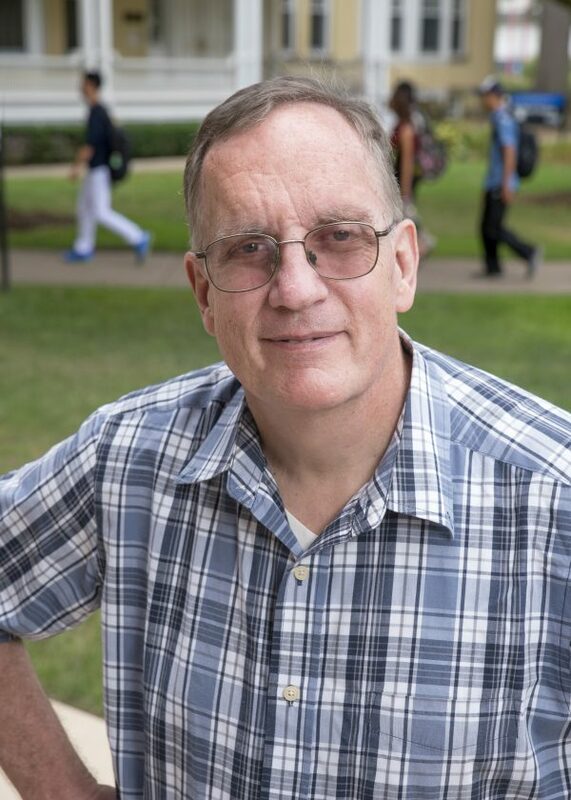 The level of mathematical understanding he brings to this work makes him unusual—perhaps even one of a kind, notes David Singer, professor and interim chair of CWRU’s Department of Mathematics, Applied Mathematics and Statistics, where McLarty holds a secondary appointment. “I don’t know if there’s anybody besides Colin who could do it,” Singer says. McLarty, the Truman P. Handy Professor of Philosophy, grew up in southeastern Pennsylvania, near the town of Chadds Ford. In 1968 he came to Case Institute of Technology (CIT) to study physics. But he fell under the spell of Professor Howard Stein, a philosopher of science, and decided to become a philosopher who could delve deeply into mathematics. McLarty earned a bachelor’s degree in math at CIT, and then master’s and doctoral degrees in philosophy at what became Case Western Reserve. While he was in the graduate program, and for four years afterward, he supported himself as an apprentice machinist, making precision tools at a Cleveland-based machine shop. For a while, he recalls, “I was not sure I wanted an academic career.” But machining left him too little time to read philosophy, so in 1984 he began teaching at Cleveland State University and the Cleveland Institute of Art. Three years later, he joined the faculty at his alma mater. 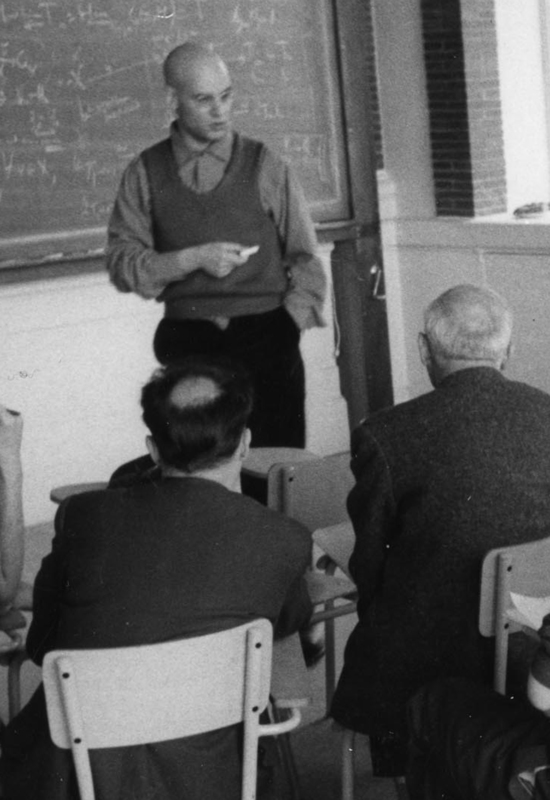 Alexander Grothendieck taught a seminar on algebraic geometry at the Institut des Hautes Études Scientifiques (IHES) in the late 1960s. Photo courtesy of IHES. As a junior researcher, McLarty became interested in category theory, a way of organizing mathematical ideas and showing how they relate to each other. This led him to the work of Grothendieck, a major developer of category theory. McLarty obtained a three-year grant from the National Science Foundation to explore Grothendieck’s ideas. Unfortunately, by the time McLarty began this phase of his career, Grothendieck had retired from math and was leading a mostly reclusive life, and the two never met. 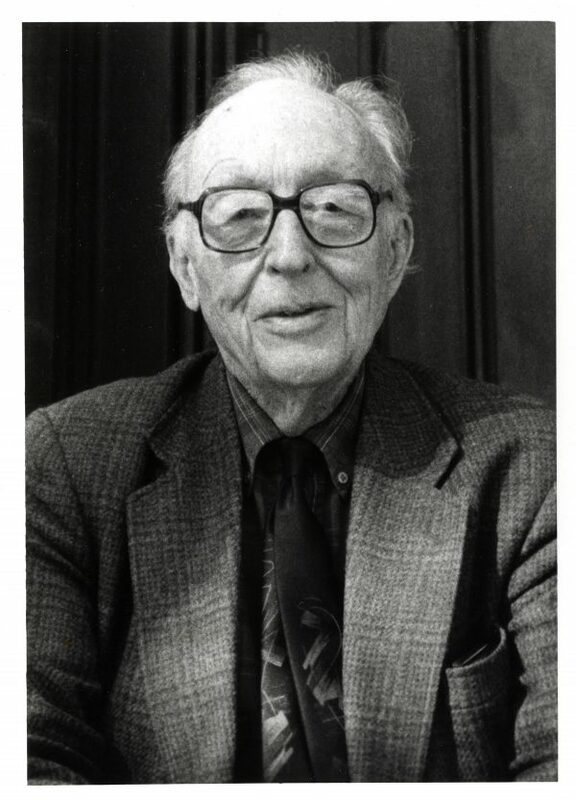 But another pioneer in category theory, Saunders Mac Lane (1909-2005), was still active as a faculty member at the University of Chicago. McLarty had met Mac Lane in 1978 at a conference in Montreal, and in 1999 the senior scholar invited McLarty to speak at Chicago. The two developed a close professional relationship. Through Mac Lane, McLarty also became interested in Emmy Noether (1882-1935), a German mathematician who greatly expanded the scope and power of algebra and made important contributions to theoretical physics. Mac Lane had been influenced by Noether, who taught at the University of Göttingen; he was one of the last American scholars to visit Göttingen before her death and the decline of German universities during the Nazi era. McLarty began studying and writing about the lives and work of Grothendieck, Noether, Mac Lane and other mathematicians. His research melds history and philosophy to trace how advances such as Grothendieck’s universes or Noether’s ideas about topology came about. Despite having no formal training in history, McLarty has mastered the art of placing historical figures within their political, social and intellectual contexts, says CWRU historian of science Alan Rocke, Distinguished University Professor and the Henry Eldridge Bourne Professor of History. For example, McLarty has explored Noether’s sympathies with radical socialists during the interwar period and the challenges she faced as a female mathematician at a time when the field was even more male-dominated than it is today. 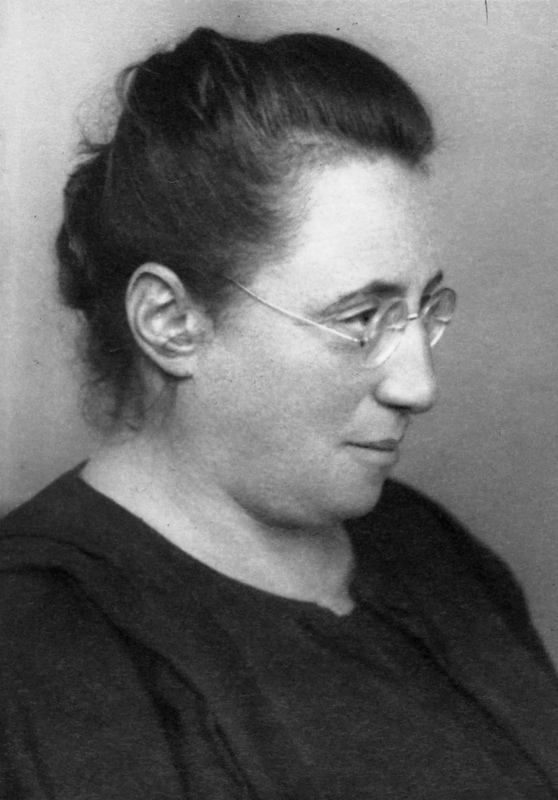 “What distinguishes his writing on Emmy Noether is perfect competence in the technical aspects of the mathematics combined with historical sensitivity to the social context in which she worked,” Rocke says. Another faculty colleague, philosopher Shannon French, notes that it took some daring for McLarty to embark on such research. “Colin was doing interdisciplinary work before it was cool,” says French, the Inamori Professor of Ethics and director of the Inamori International Center for Ethics and Excellence. In addition to writing about mathematicians, McLarty has made his own contributions to category theory. In 1992, for example, he published a book on topos theory, a branch of category theory; Singer says that it’s still the go-to text on the subject. After Wiles’ 1993 announcement of his proof, however, much of McLarty’s mathematical attention shifted to Fermat’s Last Theorem. (A more definitive proof came out in 1995, after Wiles and a colleague spent a year correcting an error that someone had found in the original.) Here was a living and breathing—not to mention famous—problem to which he could apply some of his ideas on the foundations of math. McLarty was convinced that it should be possible to reformulate the proof in a system called Peano arithmetic, which is much simpler and requires far fewer assumptions than set theory. McLarty compares Peano arithmetic to “doing woodwork with only an X-Acto knife.” But actually establishing that the proof can be recast in this way is a monstrous problem: Wiles’ proof is more than 100 pages long, and each page cites numerous other theorems that all have their own detailed proofs. Fortunately, for his purposes, McLarty didn’t need to master the entire proof; he only needed to identify the points where Wiles cited theorems that relied on set theory, and try to show that the proof would work with less expansive theorems. Still, it wasn’t until 2013 that McLarty reported at a meeting in San Diego that the proof could be simplified—if not yet to Peano arithmetic, then at least to a version of set theory (finite-order arithmetic, to be precise) that does not require universes. McLarty’s unique brand of historical mathematical philosophy has earned him invitations to speak across the globe. In 2014, for example, he gave a talk about Noether at the International Congress of Mathematicians in Seoul, South Korea—the top event in mathematics worldwide, where the Fields Medals are awarded. He has also presented mini-courses, each involving a series of lectures, in the United Kingdom, Denmark, Mexico and China. 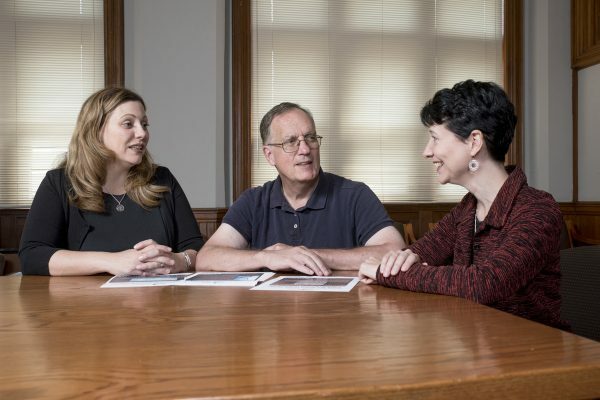 Philosophy colleagues Shannon French (left) and Laura Hengehold (right) say that Colin McLarty has enhanced the reputation of their department and of the university. Photo by Mike Sands. Soon after that first visit, McLarty began learning Mandarin and establishing ties with Chinese scholars. He has developed especially close connections at Shanxi University, an institution with a strong focus on the history and philosophy of science. He has also taught philosophy at Hebei Normal University and Beijing Normal University. Earlier this year, he served as academic director of the latter’s Sinoway International Summer School. The intellectual fertilization goes both ways. In 2014, McLarty arranged for Shuxue Li, a historian of science at Shanxi University, to come to Case Western Reserve and work with Alan Rocke. Late this fall, Jie Liu, an associate professor at Shanxi’s Research Center for Philosophy of Science and Technology, will arrive at CWRU for an extended stay. Such visitors, French says, bring fresh perspectives and enhance the university’s international reputation. McLarty’s colleagues commend his service to Case Western Reserve. He chaired the Department of Philosophy for 15 years, beginning in 1996. He is a member of the President’s Advisory Committee on the Status of Women and a fellow of the Institute for the Science of Origins, where he has given popular talks on subjects ranging from ancient Greek mathematics to current mathematical models of climate change. Gabriel Popkin is a freelance science writer in Maryland.